If you have ever heard of or seen the Dune Shacks of Provincetown, you know how strong of a pull they will have on you. If not, be prepared for the History and the Mystery of the Dune Shacks and start planning your own trek to experience their magic. The beauty of miles of isolation. Maybe a mile or so from Provincetown’s Commercial Street is the entrance to the Provincelands. Right off Highway 6 is the end of Snail Road, park along the side of the highway and start down the sand path, through the woods. 50 yards will bring you to the first giant sand hill that you must climb to enter the park. It is hard but worth it, each step takes you back a half step and there is an endless amount of sand! 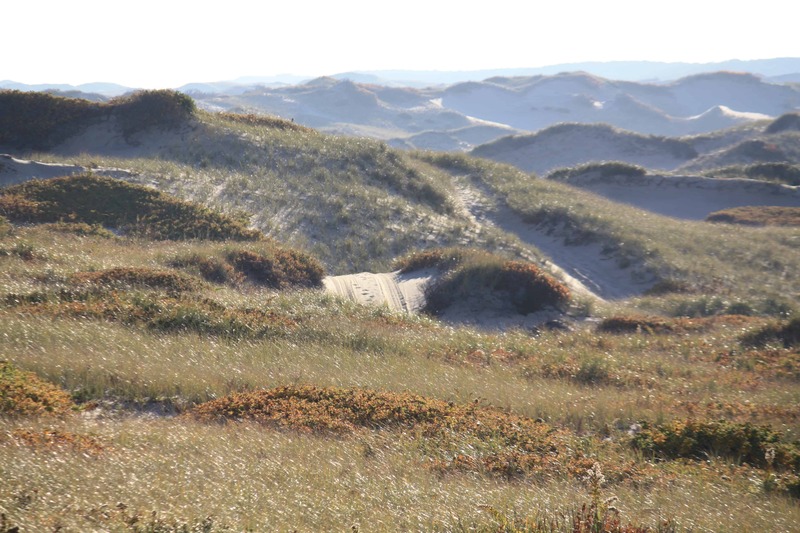 Persevere though and you are rewarded with a great vista of the dunes all the way to the beach, about a mile away. The hike is relatively easy, it is the hills that make it a challenge. There are only 2-3 big hills on your way to the beach so no reason to be discouraged. Once you have made it to the scrub trees, it is easy going. The views are worth the struggle. 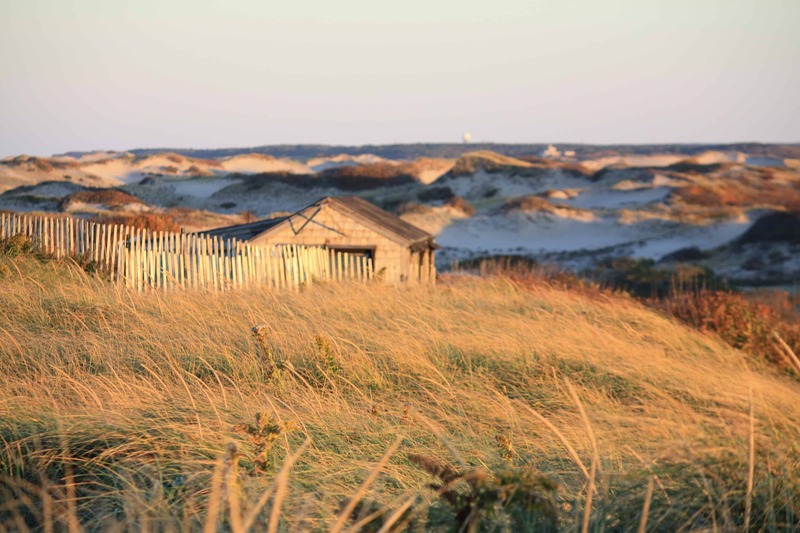 When you have made it into the park and discovered your first of 19 dune shacks, you feel the history immediately. Some of these dune shacks were originally built by the Lifesaving service to assist mariners whose ship couldn’t make it through the Cape’s shifting sands. They say there are enough shipwrecks off the coast to stretch end to end from Provincetown to the Monomoy lighthouse, roughly 42 miles worth! So, there was a need for a lifesaving service and they used the dune shacks as shelter and to store supplies. Some were stocked with provisions by the Massachusetts Humane Society for anyone that washed ashore and were able to make it to one. Later, around the 1920s, other shacks were being built using the wood from shipwrecks. Eventually writers and artists gravitated to the shacks as they are an obvious source of inspiration. Currently the public is able to enter a lottery, pay a small fee, and live in a shack for a week or two at a time. Make no mistake, they are shacks. No electricity, no running water, and at best a composting toilet will help define your week in the dunes…especially if you are not used to primitive conditions. The mystery, “What’s over the next dune? 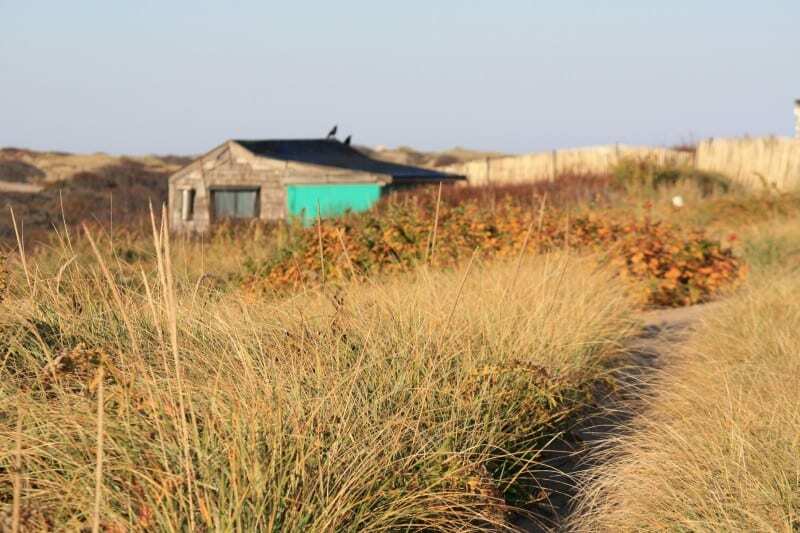 What dune shacks are hidden away that might be discovered?”, is the drive for the explorer. There is always something more to be discovered. This place has a feel to it that will keep you coming back for more. It is amazing. If walking through the shifting sands of the dunes sounds too strenuous, you can always take a tour with Art’s Dune Tours. They will drive you through the dunes, by the dune shacks, and can even set up a clambake on an abandoned beach if you would like. There is nothing like the feeling of walking into and out of such a desolate place but, if you are short on time or don’t feel like trekking through the sand, Art’s is your best option. 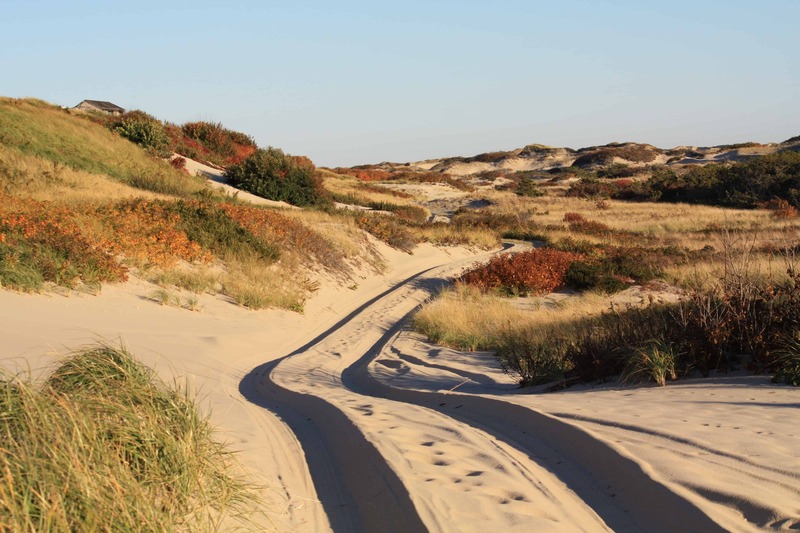 Drive through miles of wilderness and sand with Art’s Dune Tours. 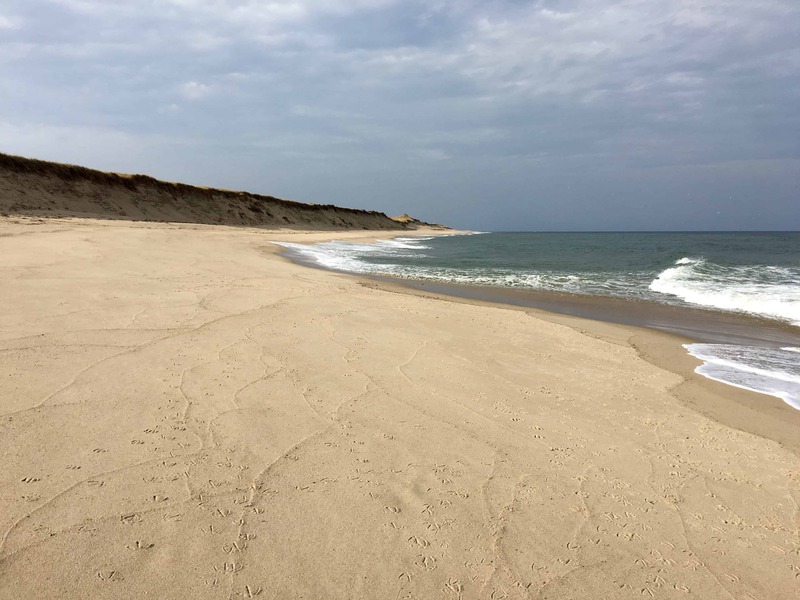 If you are considering a Cape Cod escape and have the adventurers spirit, you are in the right place. 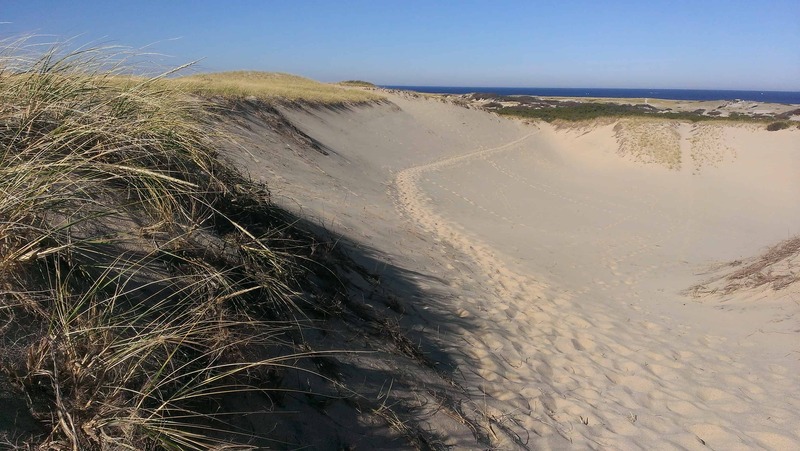 We can help guide you to areas of Cape Cod that demand to be explored! The Platinum Pebble’s operating philosophy is to “Live like a local” and “travel like you mean it”. Allow us to show you the true Cape Cod, we would be privileged to be your personal concierge.